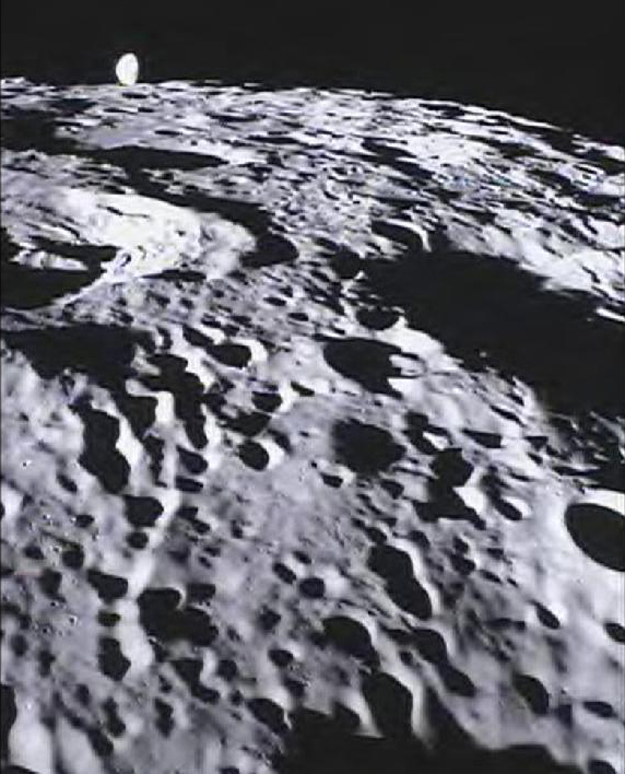 This image of the far side of the lunar surface, with Earth in the background, was taken by the MoonKAM system onboard the Ebb spacecraft as part of the first image set taken from lunar orbit from March 15 - 18, 2012. A little more than half-way up and on the left side of the image is the crater De Forest. Due to its proximity to the southern pole, DeForest receives sunlight at an oblique angle when it is on the illuminated half of the Moon.